Jeff Jerome, curator of the Edgar Allan Poe House and unofficial head of the annual vigil, waited in the dark and cold overnight before declaring it over at 5:45 a.m. Wednesday, the Baltimore Sun reported. Jerome took as many media calls as he could handle Wednesday morning, then went to bed. "This is Jeff Jerome. I can't talk to you. 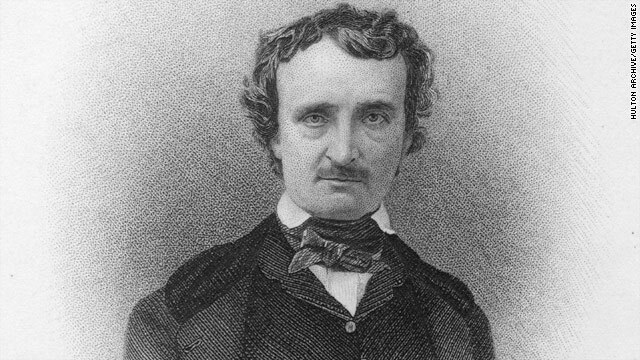 I've been up for 25 hours straight, I'm exhausted and I need sleep," his voice mail at the Edgar Allan Poe House says. Before he went to bed, Jerome told the Sun he's just about done with waiting for Poe's secret admirer. "I will be here in 2012, but that will be it," he said. "If he's a no-show, I will officially pronounce the tradition dead." The identity and motivation of the "Poe Toaster" has always been a mystery, as is the reason for the ritual's apparent end. As crowds for the annual stakeout at Westminster Burying Ground have grown, the Toaster may be finding it harder to go in and out unnoticed. Perhaps the stealthy Poe admirer simply decided it was time to stop. "It is a great, kind of unique Baltimore story and tradition. Baltimore is full of those quirky and unique traditions," said Sara Hisamoto, director of public relations for Visit Baltimore. "It's always sad to see a tradition go away, but knowing Baltimore, we'll come up with some other kind of quirky celebration to take its place." Toaster or no Toaster, the Poe society will still hold a birthday party this weekend at Westminster Hall. I sincerely hope that this tradition doesn't die. If he is still alive, I wish people (including the curator who waited in the dark overnight) would at least give this guy his distance so that way this act can stay alive. I am avid reader of Poe's works and speculate (for whatever its worth) that this is a tradition he would have enjoyed. Question... If they were leaving a half a bottle of expensive cognac annually, who was taking it? Where did it go each year? O.K. I admit it. It was me. I just woke up two years ago and decided not to do it anymore. Nevermore. So the guy would raise a glass at the graveside but stopped huh? i think the admirer is dead. But, the tradition does not have to be dead. A new admirer can start this. I think part of the problem is everyone wants to know who....who cares who it is...it is a dark and a mystery that same thing that Poe was. I think the watchers need to leave well enough alone. Come pay your respects and leave....leave the mystery at that..a mystery. I hope someone else will pick up this tradition after 2012 when the curator is no longer going to wait. And once again continue with the tradition as it is awesome for Poe to still be remembered like this. The toaster was arrested for DUI two years ago when leaving the site... Now nolonger with a drivers license the trek is too far to walk. It was a women and she died two years ago. The reason that makes most sense is that the visitor wanted to perform this heartfelt gesture only up to Edgar Allen Poe's 100th birthday which was on January 19, 2009. That was, in fact, the last time that the mysterious visitor appeared with his/her gifts. Could this stranger have been Baltimore's past mayor William Donald Schaefer who died early 2011?